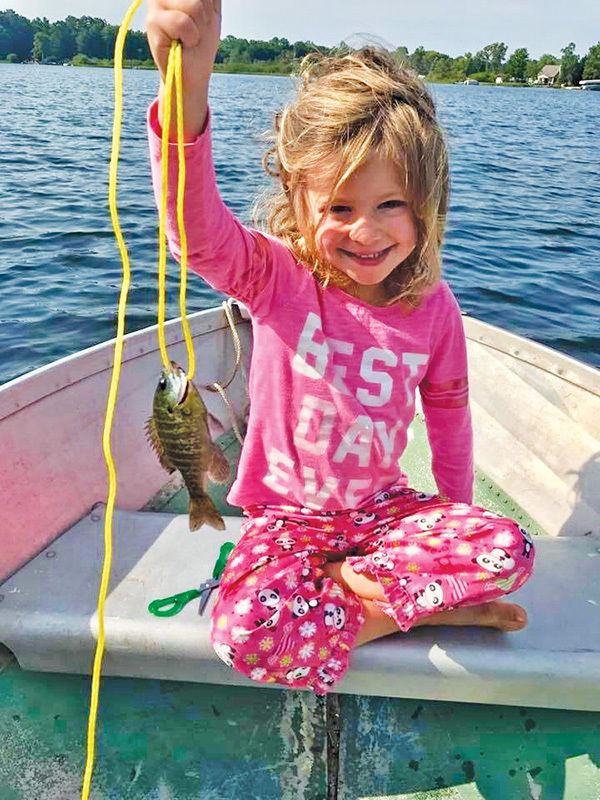 Tag Archive | "blue gill"
Evelyn Marie Nista, age 6, caught this blue gill at Duke Creek Campground, August 6, while camping with her family. Evelyn caught her fish on a pink Barbie fishing rod. 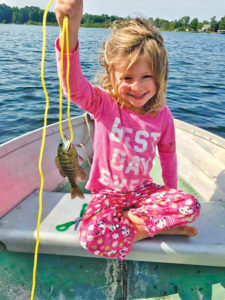 Evelyn is the daughter of Rob and Andrea Nista of Cedar Springs. 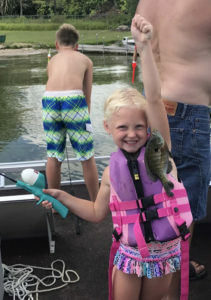 Congratulations, Evelyn, you made the Post Catch of the Week! 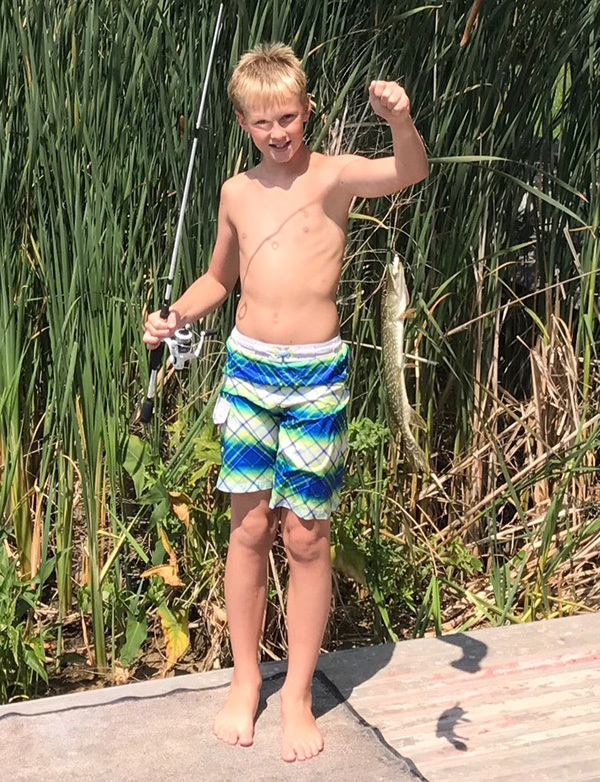 Nine-year-old Tyler McCuaig, a 4th grader a Cedar View elementary, caught this 9-inch long blue gill in Indian Lakes in Howard City on August 10. It certainly looks like a keeper! Tyler is the son of are Al and Elisia Sadler and Dan McCuaig. Congratulations, Tyler, you made the Post Catch of the Week! 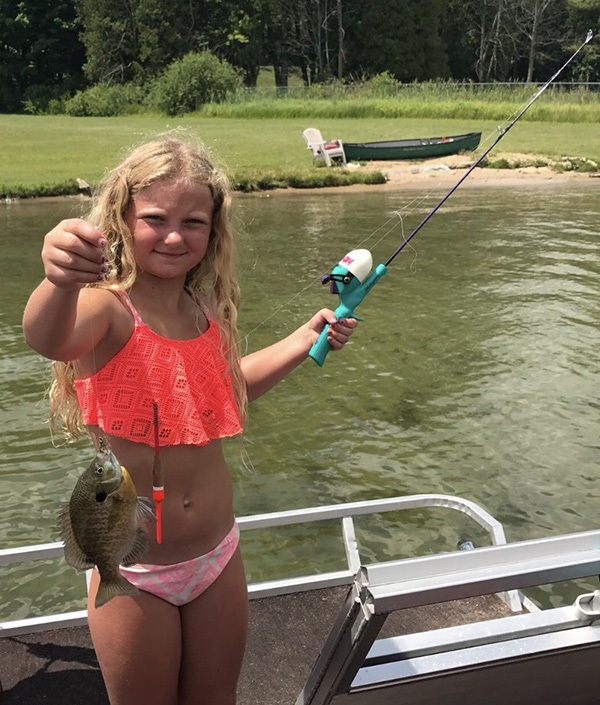 Kaitylynn Magoon, 9, of Sand Lake, caught this blue gill while fishing for the first time this summer in Sand Lake. The fish was so small that they didn’t bother to measure it. Instead, they threw it back to grow a little more and be caught another day! And who knows? 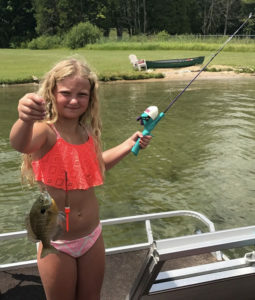 Maybe it will be Kaitylynn that catches it again, because she is planning to do a lot more fishing! Congratulations, Kaitylynn, you made the Post Catch of the Week!